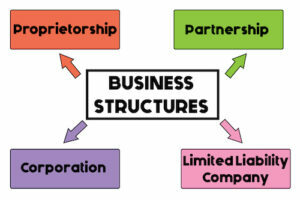 When considering going into a new business, buying an existing business or buying into an existing business, the business structure and the business investment structure is critical. This will determine asset protection and tax liabilities. A Sole-Trader is the least expensive to comply with but might not protect the assets of an individual or might not give the best tax results. Sole Traders generally trade in their own name or a business name they have registered. Very often, business owners start out as sole traders but then as the business grows, they change structures. Sole Traders can register for an Australian Business Numbers (ABN) and they can also be registered for Goods and Services tax (GST) dependent, among other factors, the turnover of the business. When two or more people go into business, they may form a Partnership. A Partnership is really two or more Sole Traders doing business together. It does not protect personal assets and Partners are jointly and individually liable for all of the partnership debts. A Partnership can registered for an ABN and it can also be registered for GST. It has its own separate tax file number (TFN) and must lodge a separate Income Tax Return each year. The most common business structure is a Company. A Company is its own legal entity, is capable of trading in its own right and is owned by shareholders. The Company is run by the Directors. In most small businesses, the Director(s) and Shareholder(s) are the same. In more complicated Companies like those trading on the stock-exchange, the shareholders are the general public who have bought shares and they collectively appoint the Company’s Directors. The Company’s Directors then form a Board and report regularly to the Australian Stock Exchange and the Shareholders. The way in which a Company operates is governed by its Constitution or Memorandum of Articles and Association. The Constitution is drafted when the Company is formed or incorporated. A Company can register for an ABN and it can also be registered for GST. It has its own separate (TFN) and must lodge a separate income tax return each year. For small businesses, it can retain profits and be taxed at lower rates than individuals. Another structure to be considered is a Trust. The income tax and commercial laws surrounding Trusts are complicated and involve intensive attention. To exist, a Trust needs a Trustee. That Trustee can be an individual, a group of individuals or a Company. There are a number of different types of Trusts including Discretionary Trusts, Unit Trusts, Hybrid Trusts, Secured Equity Trusts etc. Some advisers like using Trusts to run businesses because if the business is ever sold and a capital gain results, the tax on that gain can be reduced. However, with careful planning the same outcomes can be achieved running a business through a Company. A Trust can register for an ABN and it can also register for GST. It has its own separate tax file number (TFN) and must lodge a separate income tax return each year. Whatever business structure is selected, the accounting system used is critical. It should be secure, accessible anywhere, controlled by the owner and provide meaningful financial reports. Many businesses are currently opting for cloud-based systems because they tick all of the above requirements and the start-up costs are relatively small because they work on a subscription basis. The tax office does provide some assistance with business structuring but because the rules are complicated you will most likely need professionals with the right expertise to get the right advise. NBC are experts in this area. This article has been prepared by Northern Business Consultants www.nbc.com.au It is for general information only. Please consult NBC for further specific advice tailored to your circumstances.